Lots of websites have badges these days. They are tokens of accomplishment, often meaning very little but still enough to motivate customer behavior. 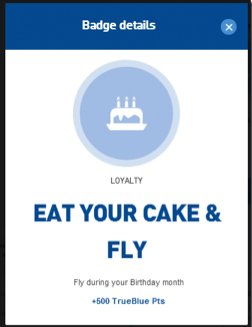 JetBlue is looking to grow its TrueBlue loyalty program – driving partner transactions, social sharing and, believe it or not, travel on the airline – through a new Badges effort launching today. These badges aren’t just for show, however; JetBlue is actually making the badges worth something within their program. Members will be able to earn TrueBlue points – and maybe more – by participating. Dave Canty, JetBlue’s director of loyalty marketing sees tremendous potential for the program, expanding beyond the traditional loyalty space. 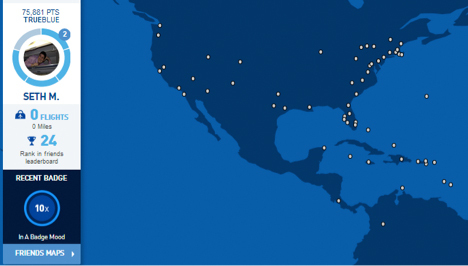 “Badges will be a new and engaging way for JetBlue to connect with our customers and enable them to become advocates of our brand. Our intent is that TrueBlue Badges will mean more and more over time as customers interact with them,” he says. Badges are split into categories, covering the loyalty program, travel and partner activities. 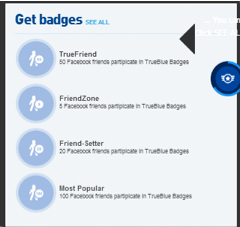 All of the partner activities already earn a TrueBlue member points in the program so the badges are more about showing off or competing with friends than about accruing points. For the company it means encouraging customer behavior through an additional award beyond the points already earnt for the partner activity. 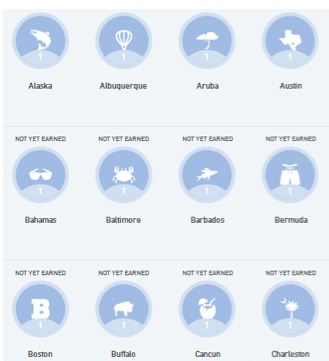 In the travel category most badges are earned based on visiting destinations. There are also badges available for on-board activities such as upgrading to the Even More seats. Visiting an airport once earns a badge for bragging; multiple visits to the same place earn badges which also include bonus points. 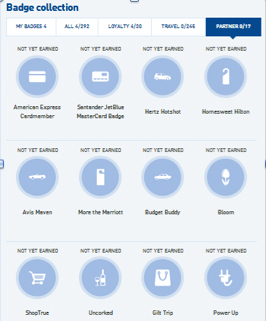 The loyalty category offers several badges for which members earn points in the TrueBlue programme whilst also acting as a brand ambassador for JetBlue. Sharing on Facebook or Twitter can earn points. Inviting friends to join the programme will, too. The current badge collection is mostly about bragging rights, with the occasional points earning but JetBlue expects it to expand. The opportunity exists for “…a different form of redemption whether it is a free drink or movie or a free upgrade with a partner hotel or car….” Those are the sort of rewards which can attract even customers skeptical of traditional loyalty programs.